Many friends and colleagues had recommended the 2011 novel The Tiger’s Wife by Téa Obreht to me but I never picked it up until this month. We cut him off at the pass by asking him when he’d last had a physical and offering to get one started for him, doing his auscultation and taking his temperature and blood pressure before bed. I’d never before seen the word, although of course I could tell from context that it referred to some sort of medical procedure. 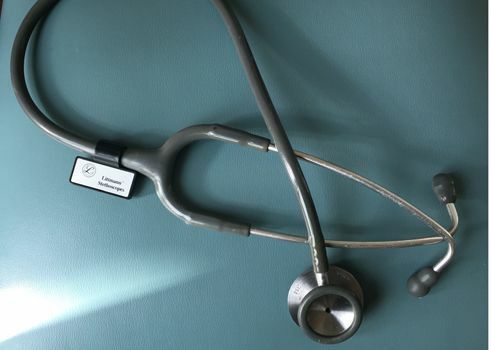 It turns out that auscultation is the act of listening to sounds arising within organs (such as the lungs) as an aid to diagnosis and treatment.